Canonical URLs are used to avoid duplicate content and indicate to search engines which page is the "original" page. 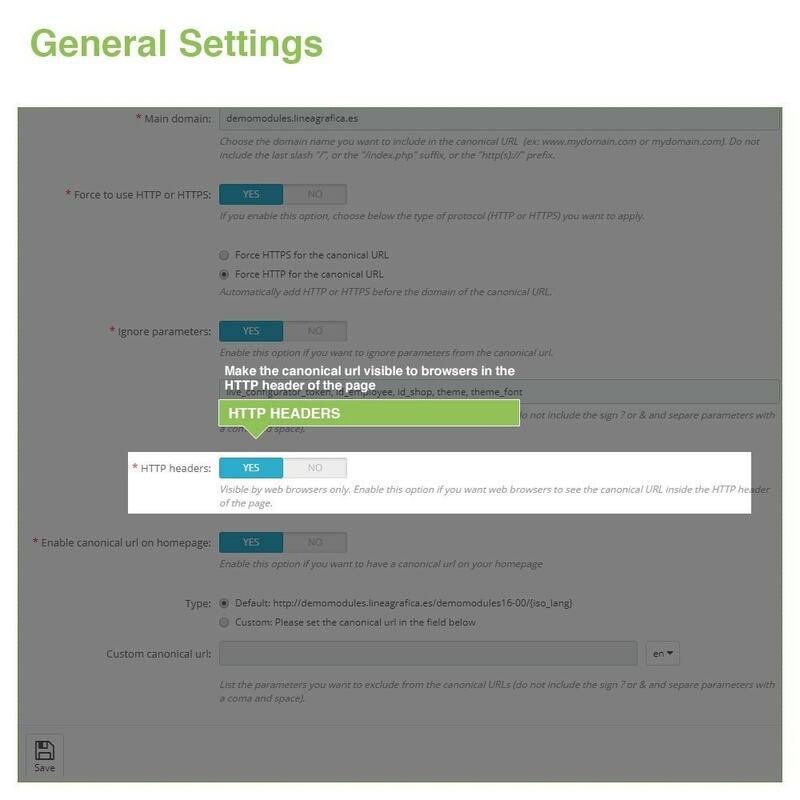 This is just an indication added into the code of a page to tell search engines that this page is not the main page and that the original content is located in another page. 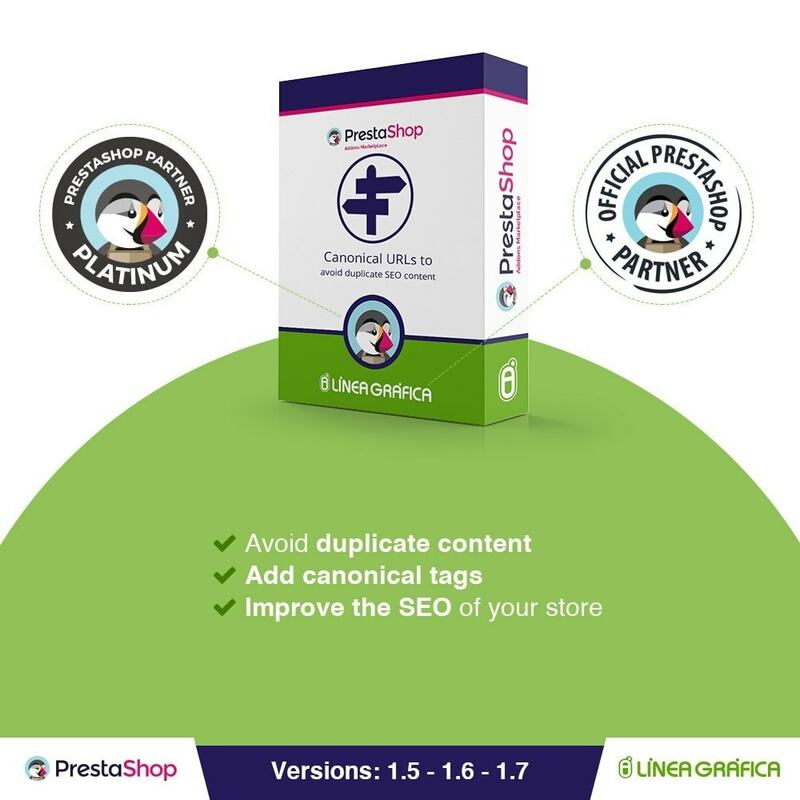 If you have several similar versions of the same content accessible through multiple URLs and you don't use canonical URLs, search engines would penalize your SEO because these pages would be considered as duplicate content. 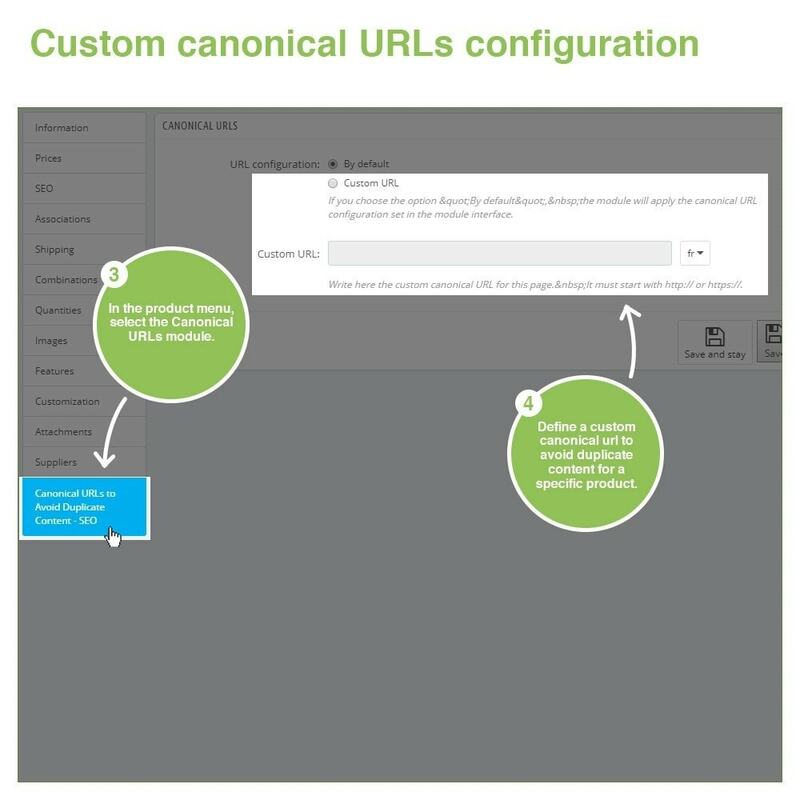 But if you use canonical URLs, the pages that used to be considered as "duplicate content" (different urls with the same content) would be considered now as one and same page by search engines (they are linked to the canonical URL). 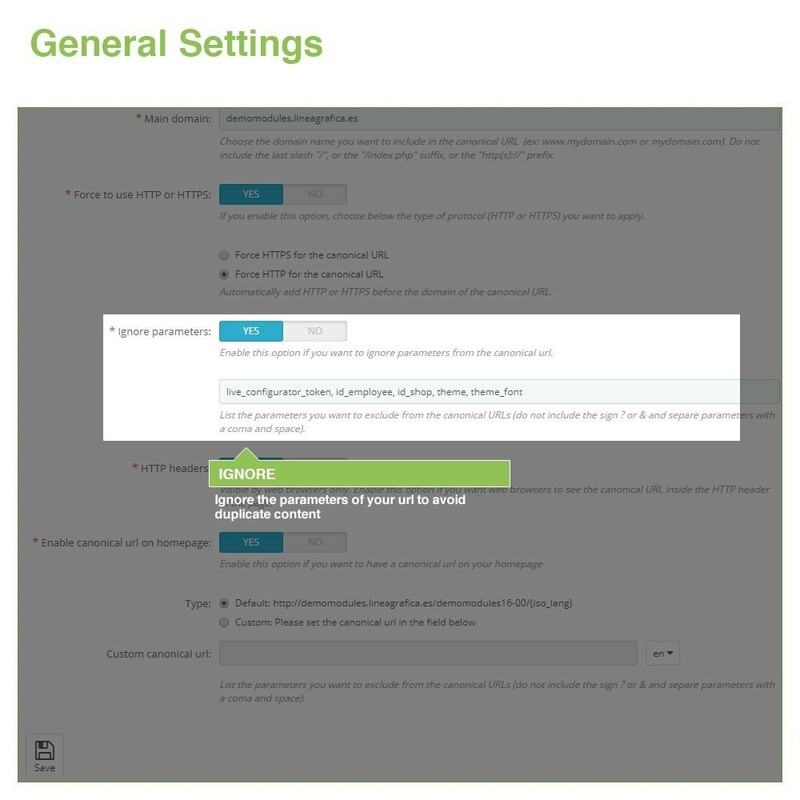 The module automatically adds a default canonical url to all your product, category, CMS pages only. 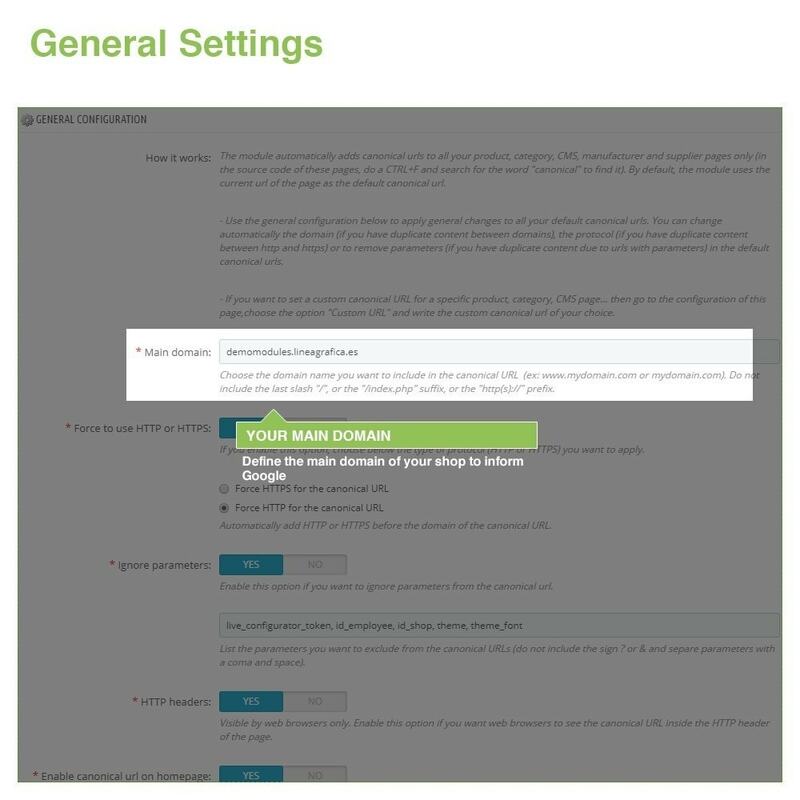 By default, the module uses the current url of the page as the default canonical url. 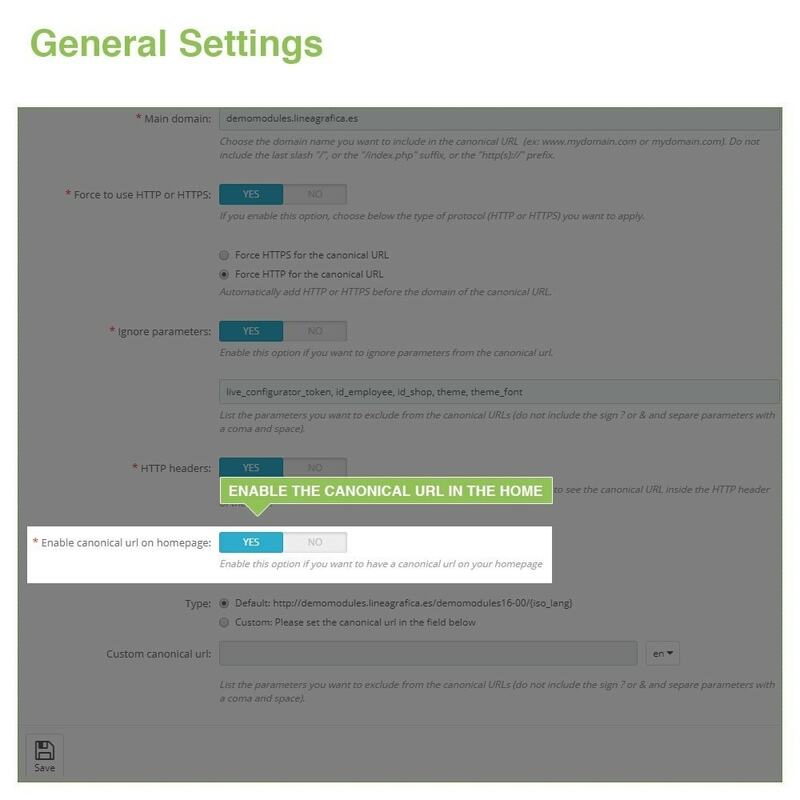 Use the general configuration to apply general changes to all your default canonical urls. 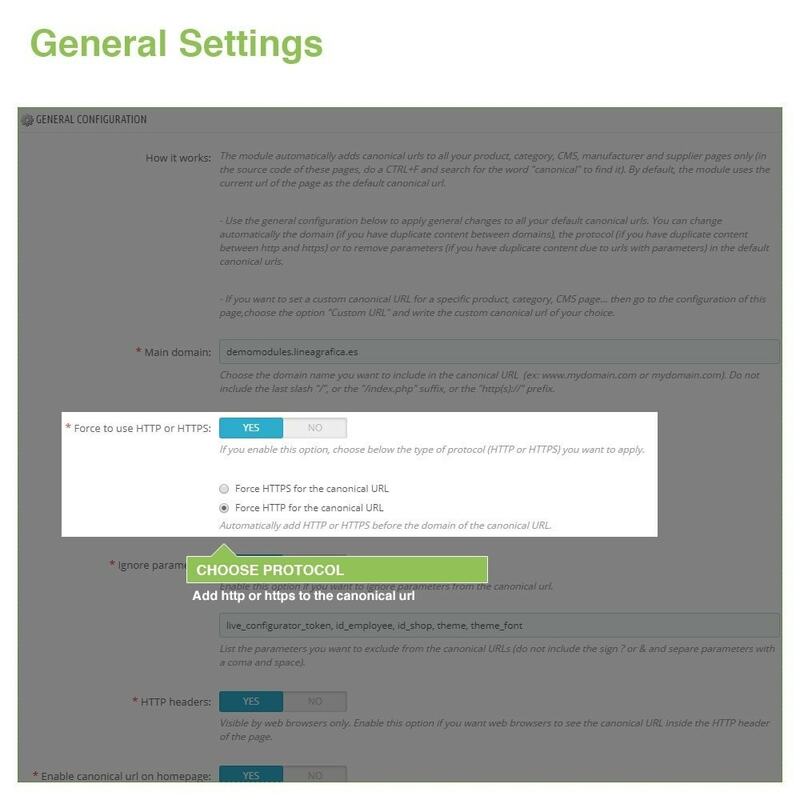 You can change automatically the domain (if you have duplicate content between domains), the protocol (if you have duplicate content between http and https) or to remove parameters (if you have duplicate content due to urls with parameters) in the default canonical urls. 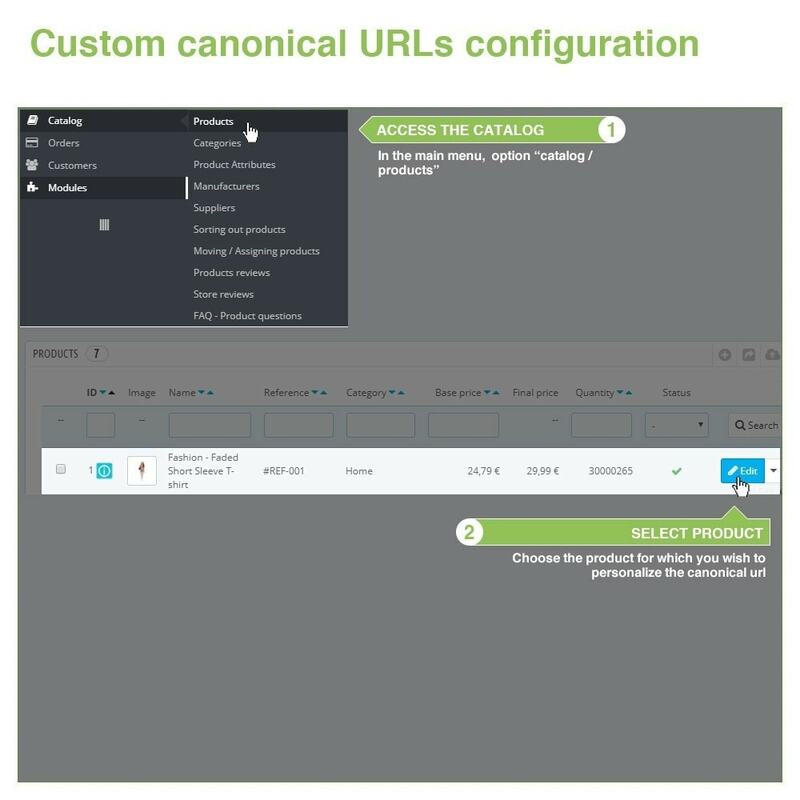 If you want to set a custom canonical URL for a specific product, category, CMS, manufacturer or supplier page, then go to the configuration of this page, choose the option "Custom URL" and write the custom canonical url of your choice. 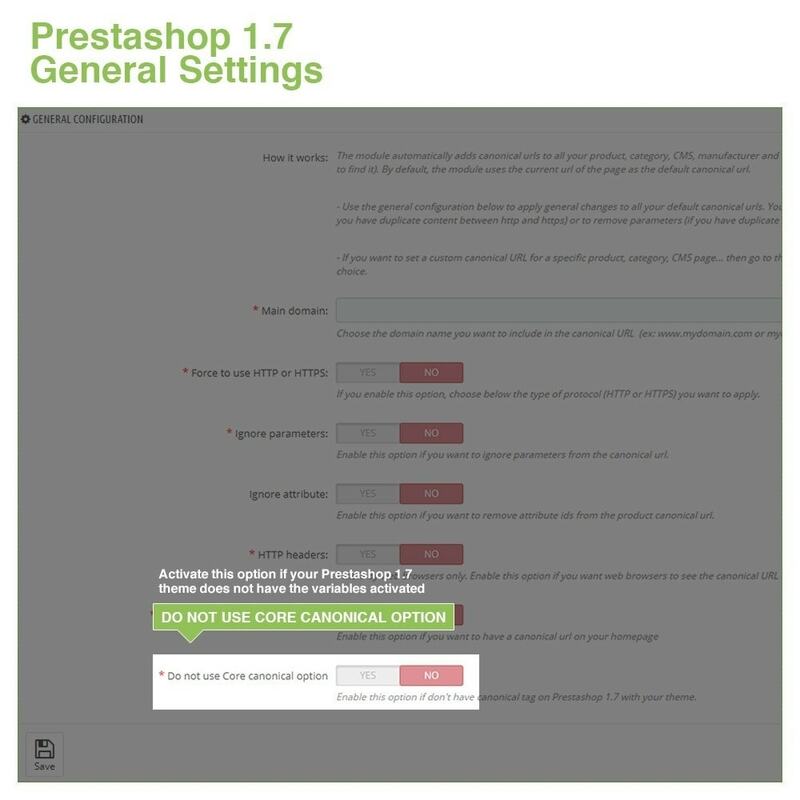 New features for version 1.7 of Prestashop: You can delete the attribute ID of the product canonical url. 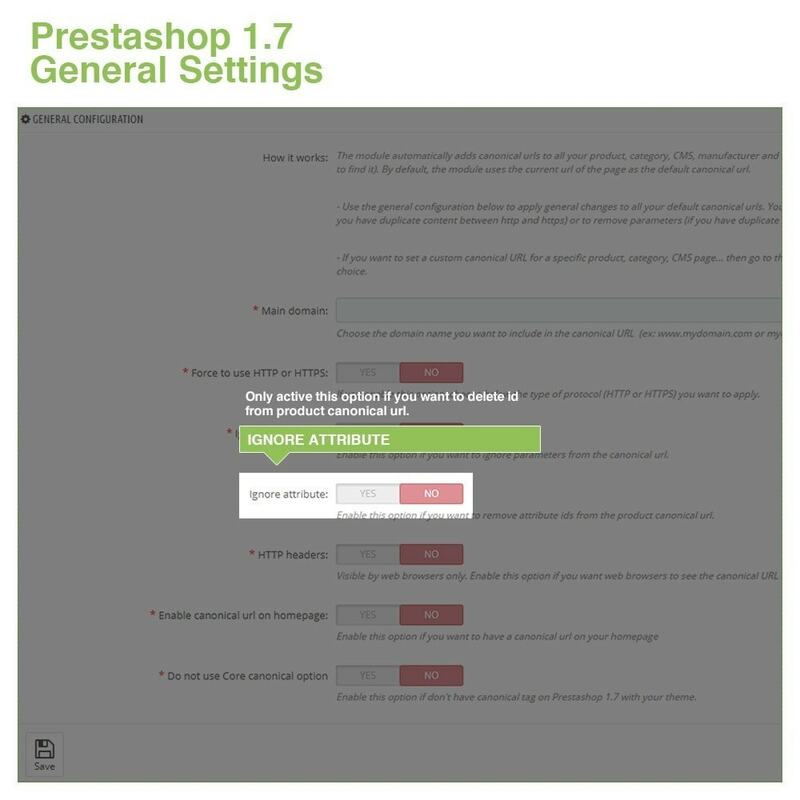 We also offer solutions to your Prestashop theme if you do not have the variables activated. 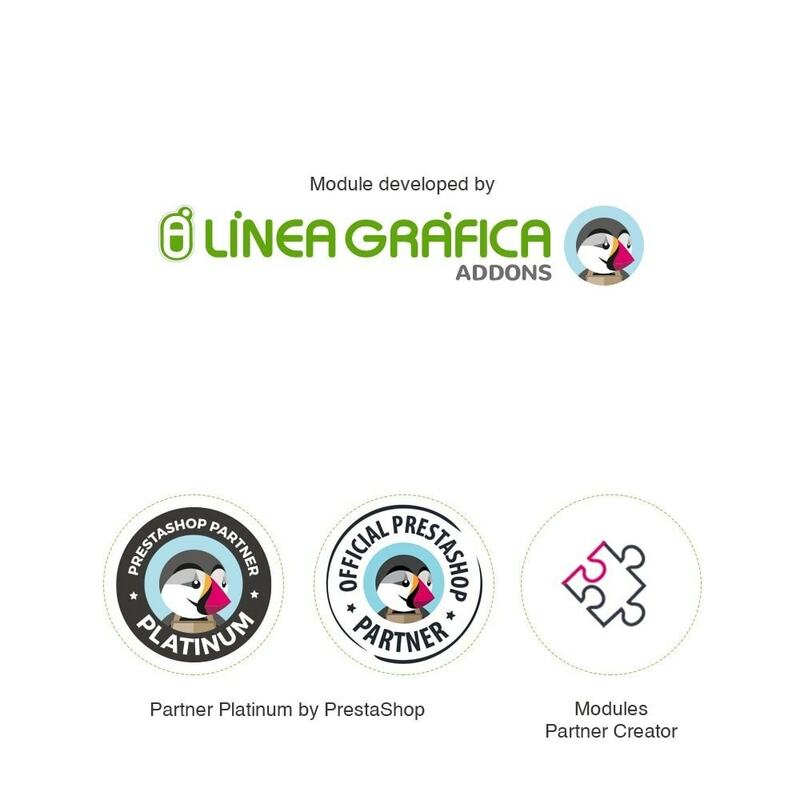 The module also allows you to set a specific canonical URL for the homepage, product, category, CMS, manufacturer and supplier pages you want. 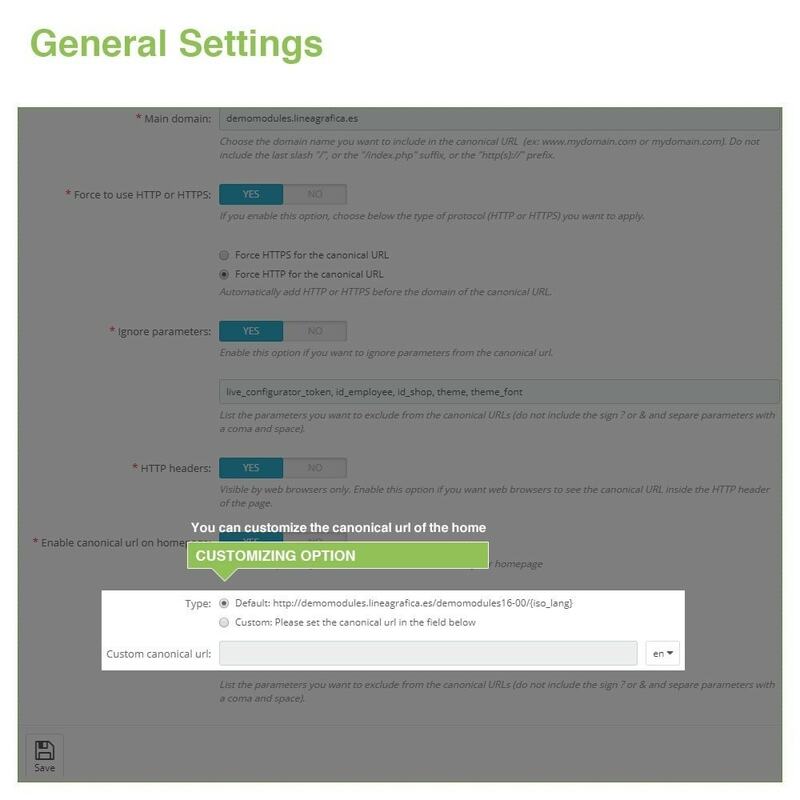 To do it, you just need to edit a product, category, CMS, manufacturer or supplier of your shop, the module automatically adds a new section of the configuration of these page. A great developer willing to go all the way to making sure his product does exactly what it should. 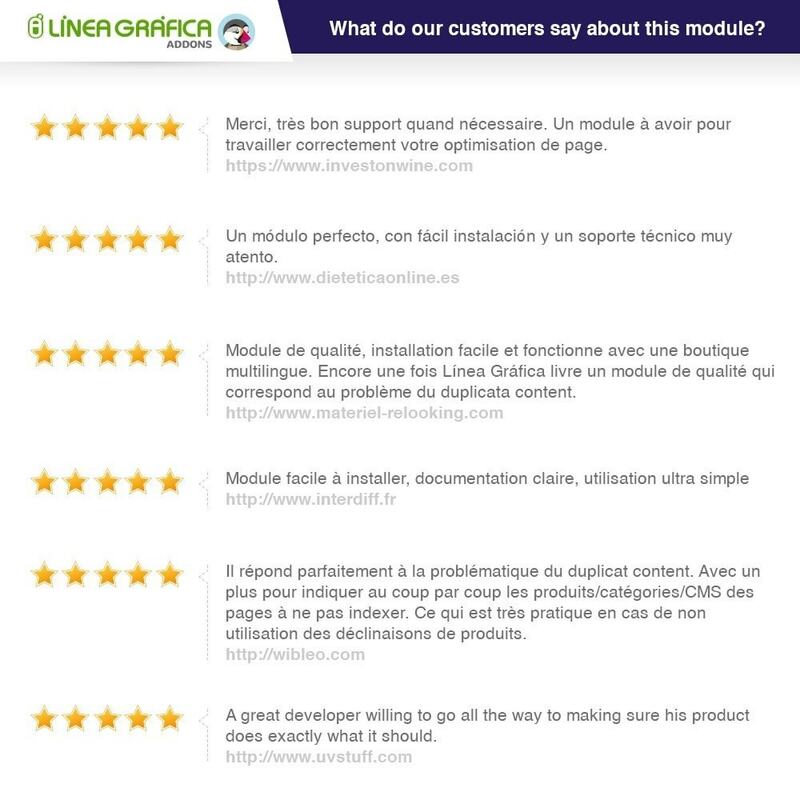 Module indispensable pour le SEO et très simple d'installation, je recommande !